How to use this page: This page doesn’t cover all RAK products & categories. It contains few specific products that ContractorBhai recommends to its own Customers. Purpose of this page is to give You a high-level overview of RAK products for Your Economic Home Renovation. 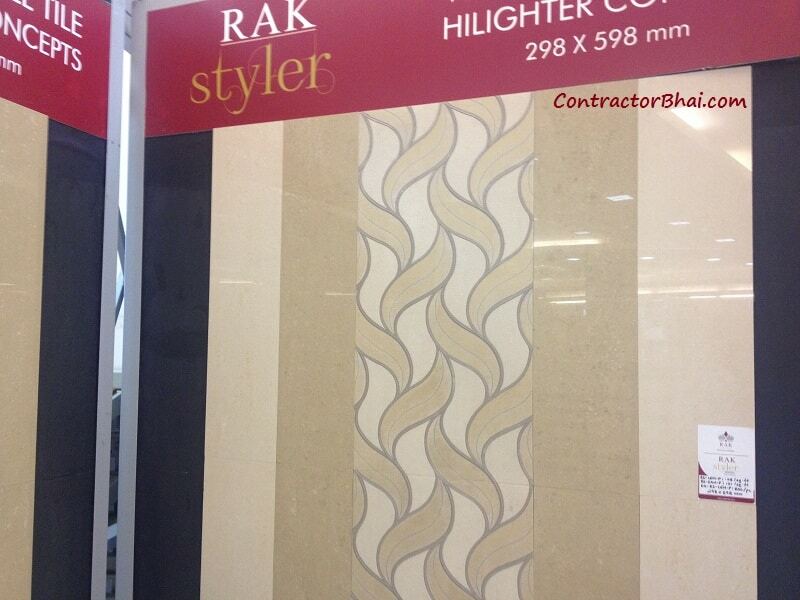 ContractorBhai Recommends Ceramic Tiles & Vitrified Tiles by RAK for Home Owners. What Interior Designers think about the RAK Ceramics ? Designers have lot of creative options within RAK Tiles. You can mix match 400 x 800 mm tiles iwth 200 X 800 mm designer tiles on walls. RAK provides biggest range of products within Tiles & it is leader in launching new stuff. High end Builders & Architects prefer RAK Tiles because of options available & quality products. RAK uses High definition digital printing which covers Edge to Edge of surface & corner of the tile. “Third Fire” technology makes tiles surface beatifully stands out. Most professionals in market consider RAK as No. 1 brand. RAK brand has premium perception in market. Perhaps most respected brand in terms of quality & design. Ofcourse it is costlier then many other Indian Tile companies. RAK’s Laguna series comes in 1 meter x 1 meter tiles & 600 mm x 600 mm tiles. They are excellent choice for creating ambience inside Residence/ Homes, if its fits in your design. What Contractors think about the RAK Ceramics ? Even company as reputed as RAK cannot escape Tile Bend issue. One of my very crucial project in Mumbai has visible Tile bends at multiple places. RAK tiles manufactured at Samalkot plant, Andhra Pradesh are always excellent. For big projects Ceramic Tiles is chosen. Individual Home Owners mostly choose Vitrified tiles. Incase using Ceramic Tiles for Kitchen, make sure it is Polished tiles. Very few options available in market with 1 meter x 1 meter tiles in rustic looks. RAk is one such company. To compete in lower range market RAK has Styler and Styler Grande ranges of style. These also use latest Third Fire technology & have amazing designs. These tiles are priced very competitive. Shop keepers dont have to sell very hard when it comes to RAK tiles. 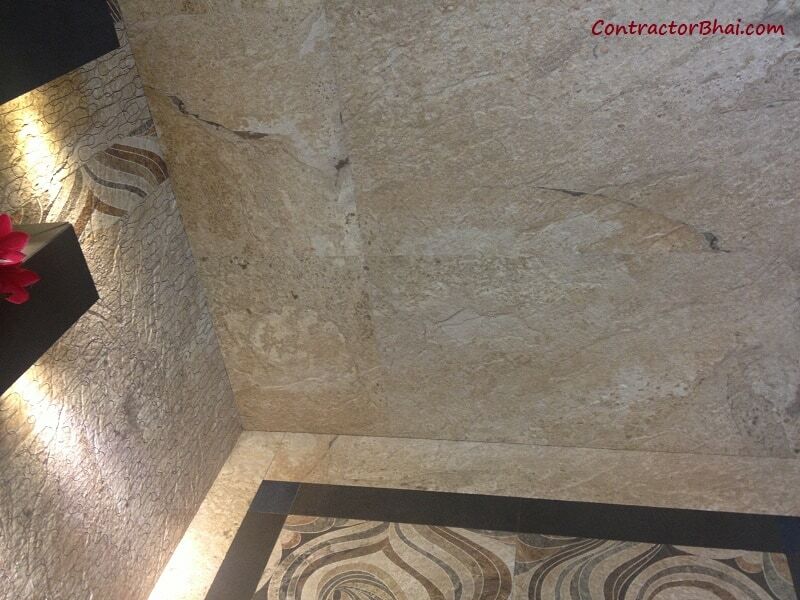 Company is known for its quality, customers who are knowledgable they are already aware of its durability & quality. There is trend to choose bigger tiles by Home Owners because big tiles give very good look to floor, less joints become visible. Large Glazed Vitrified Tiles, Styler Grande, Logs, Planks are extra ordinary products from RAK. What Building material Shop Owners says about RAK Ceramics ? RAK was the first company to make ceramic wall tiles of size 400 X 800 mm. RAK 400 x 800 mm Tiles are successful across big cities & small towns. Using latest ‘Third Fire’ technology RAK make 400 x 800 mm Highlighters. RAK 1 meter x 1 meter glazed vitrified tiles are perhaps closest to Italian marble you can find within Tiles. RAK tiles are costlier options, they dont sell much in areas which are price senstive. RAK ceramics is only for customers who are ready to spend extra.